We are thrilled to announce the new and revamped website for Farm to Fashion 2019. The website features a new refreshing design, an improved user experience and armed with latest features. 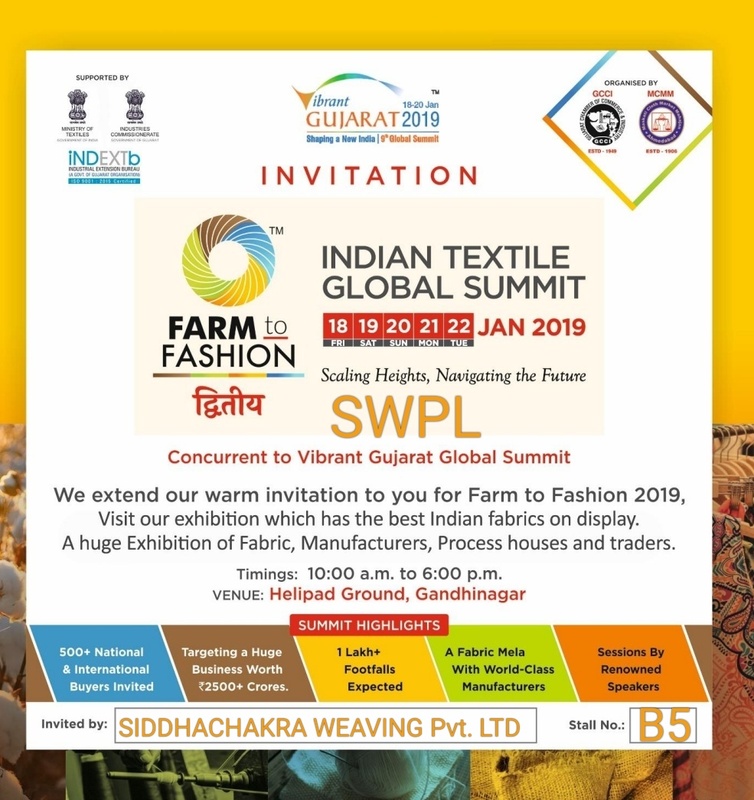 FARM TO FASHION द्वितीय: INDIAN TEXTILES GLOBAL SUMMIT is going to be held on 18th-22nd January 2019 at Helipad Ground, Gandhinagar.